PEARL, MS -- Infielder Carlos Franco was named Southern League Player of the Week for the week ending Sunday, August 7. Franco hit .500 (10-for20) and posted a .800 slugging percentage in seven games during the week. He had three doubles, a homer and seven RBI. Franco's average was the second-best in all of Double-A baseball during the week. 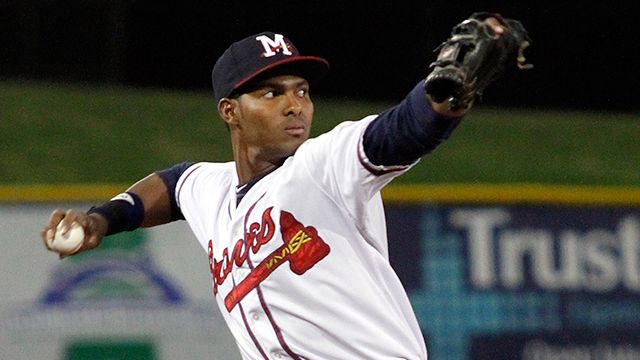 A native of the Dominican Republic, Franco is hitting .260 through 98 games with the M-Braves this season. He has 11 doubles, three triples, three homers and 42 RBI. Franco was signed by the Braves as a non-drafted free agent on May 5, 2009.